Whew! Another month has come and gone. Hopefully you were able to get your tasks done from the laundry room and front entryway, because July is here and it is the perfect time to get those garages cleaned and organized! 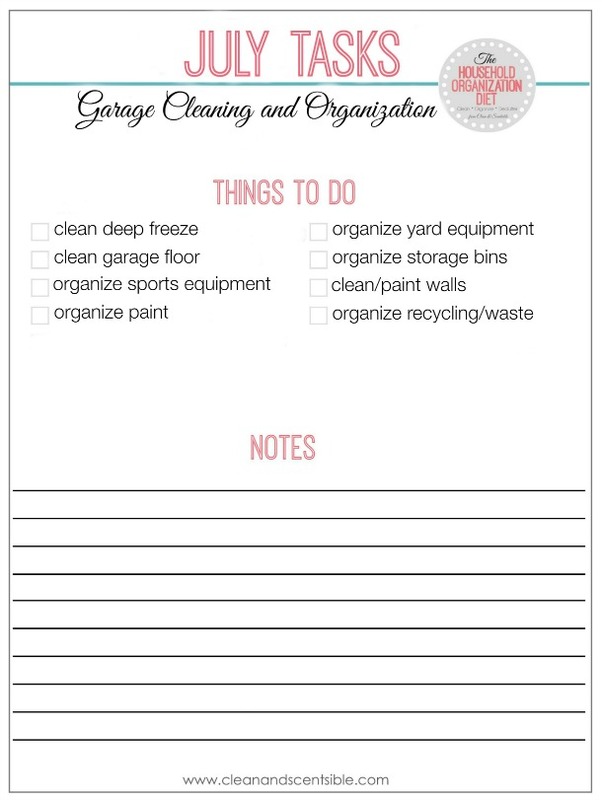 If you have been wondering how to organize the garage, this is the post for you! To keep myself on track, I also like to use a monthly calendar to write down when I plan on doing each of the tasks. 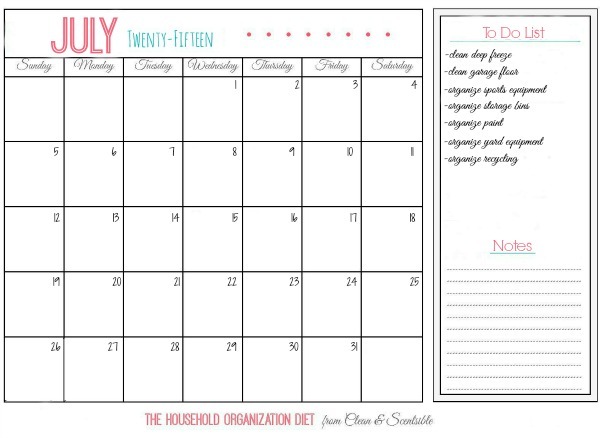 You can read more about how I use the calendar in my cleaning binder HERE. Ready to get going? Check out these posts for a ton of ideas to get you started on your space. If you are still stuck, let me know! Hopefully that will get you started! It is time to take back your garage and get rid of that junk! I just recently found your site but OMG am I happy I did. I found you on Pinterest. I am new to that and am glad that I decided to join. I don’t think I would have found you if I hadn’t. Isn’t that site awesome? You just enter your interests and you find like minded people. Who knew? I certainly didn’t. I’m a little slow at this technology thing, I never have been one to rush to the front of the line. Anyway, thank you for all that I have found here. I may be an adult now but I am still a person that needs constant reminders (hmm, is that my children get that from) and your lists have been a godsend. I may not get to it all but the reminder that it needs to be done is there. Again, thank you and please keep on as you have. As my daughters might phrase it “you’re the bomb”. This is amazing! 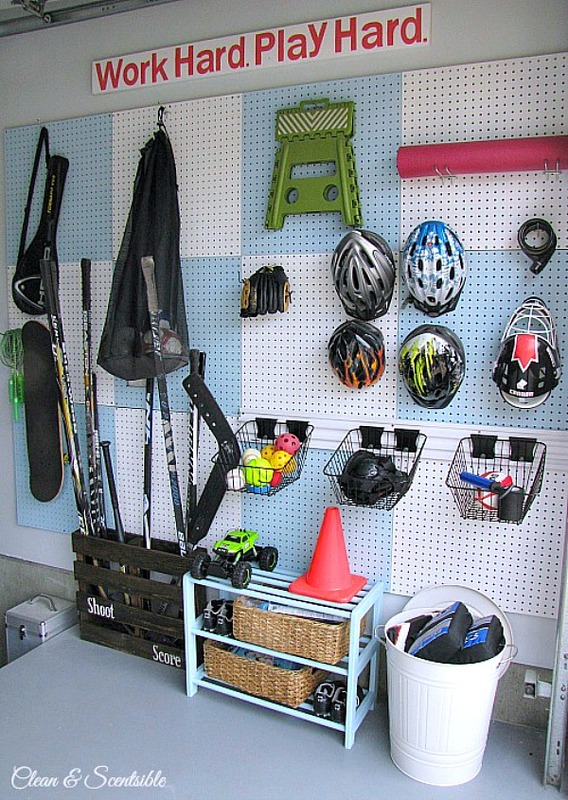 What awesome ideas for organizing a garage. thanks so much for sharing on Snickerdoodle Sunday. Have fun with the new house build! I would LOVE to do that!! 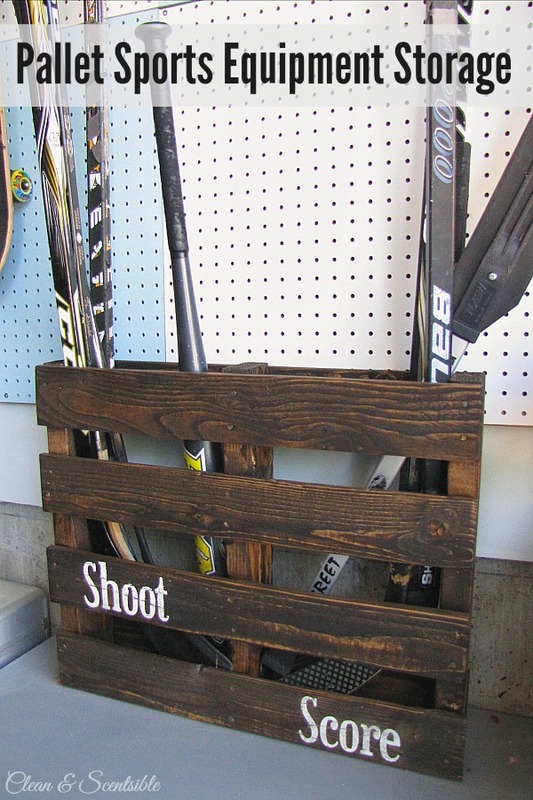 These are awesome ideas for organizing the garage! Thank you for linking up at “A Little Bird Told Me” Wednesday link party. 🙂 You are featured on Mama’s Happy Hive blog this week! My husband has been on me to get our garage organized. It’s a disaster! Thanks for some very inspirational pictures to get me motivated! I love your idea of taking everything out of the garage before you begin organizing. 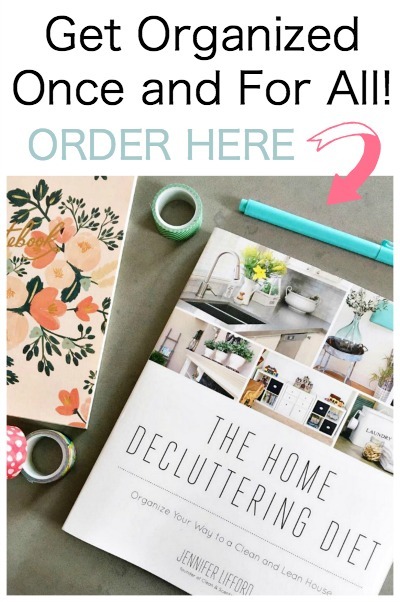 A lot of useless clutter gets thrown out with this method and helps with organization!